I have recently discovered what a gold mine of storage space is on the back of doors. I have always stored things on the back of doors – like shoe racks, towel racks, etc. BUT I have found myself finding new and creative ways and things to store on the back of doors. I truly can double your storage space and help you organize things too. No door is safe in my house! 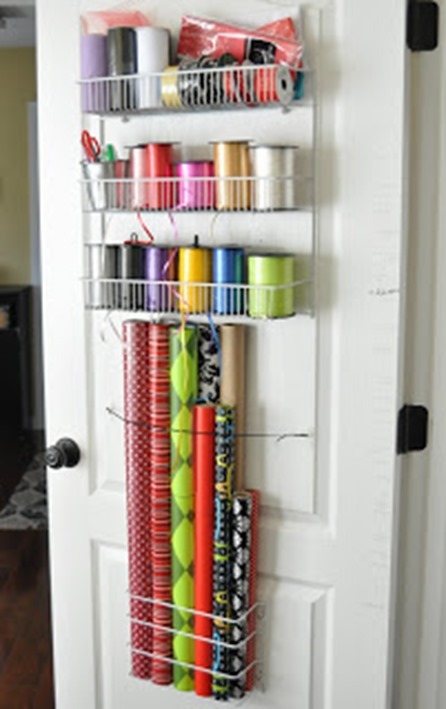 So I have rounded up a bunch of ideas from around the web on different ways you can store things on the back of doors. Pick your favorite and tell me in the comments. 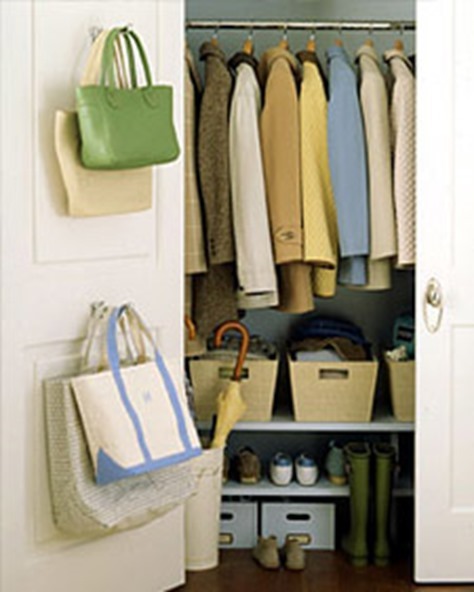 Hang purses or tote bags on the back of a closet door. So simple… yet sometimes we just need the inspiration! 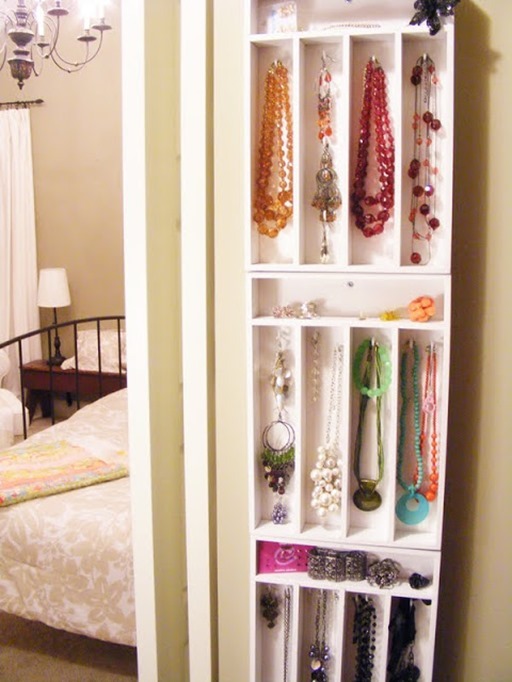 Jewelry storage doesn’t have to have fancy. Just some command hooks on the back of a closet door works just fine. Those of you that scrapbook or craft will love this idea! Look at all those punches and cutters stored on back of a door easy for you to see and access. 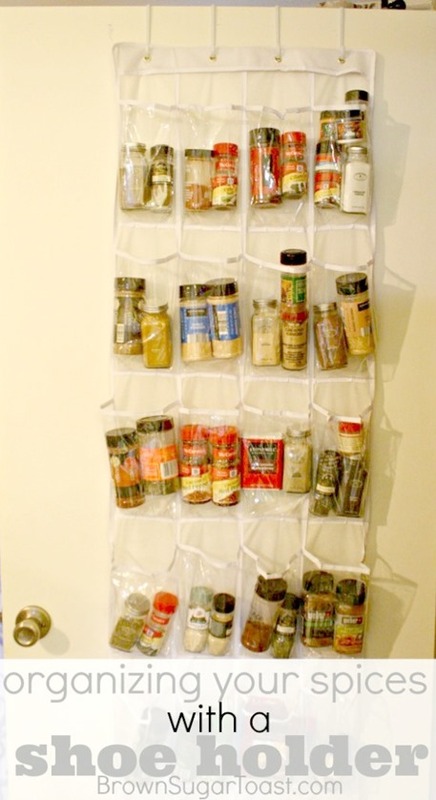 Of course Christa already showed us how you can organize spices in a shoe holder on the back of a door. 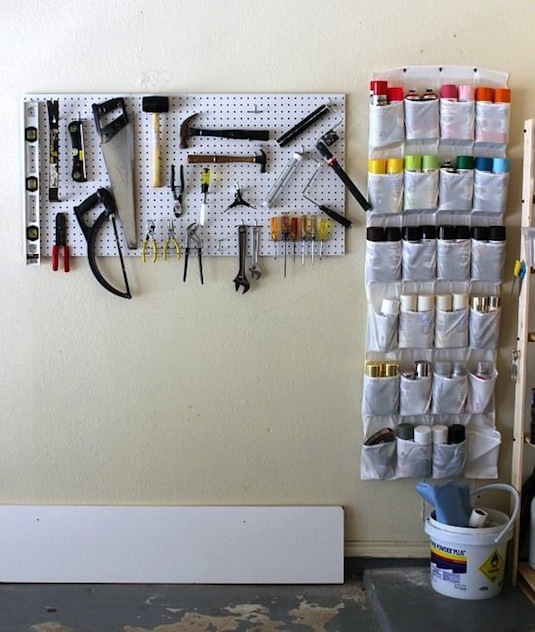 Here’s some other things you can organize with a shoe holder…. Store cleaning supplies in a shoe holder. 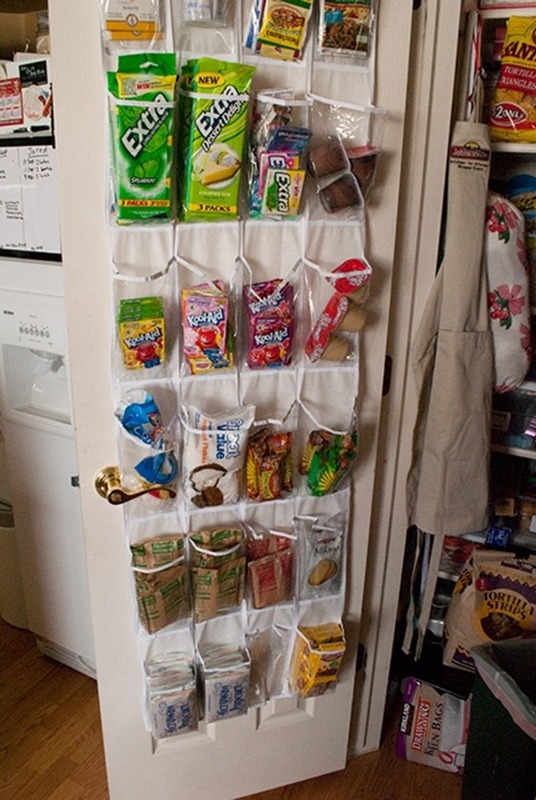 Organize snacks and other small food in your pantry using a shoe holder. I know this isn’t technically on the back of a door, but it would be. And I love the way they organized their spray paint in a shoe holder. But who would need two to organize all of theirs?? Come on admit it! Of course you can use a shoe holder to hold… shoes! I love how this one is skinnier so it leaves room on the back of the door for hooks for belts, jewelry, or scarves. 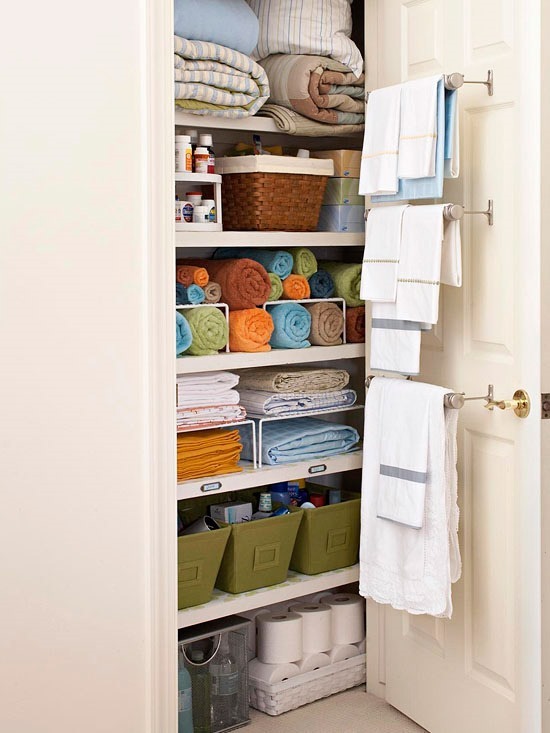 I love this idea of storing extra linens on the back of a closet door to keep them from being wrinkled. 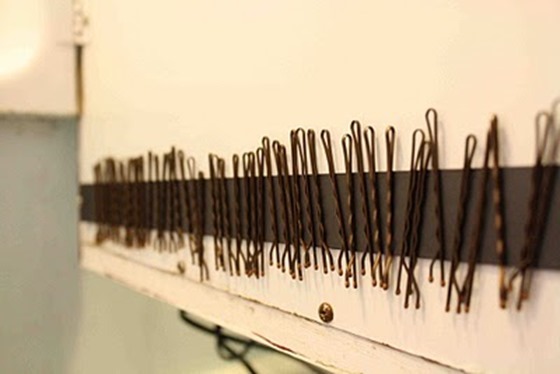 Store bobby pins, tweezers, or nail clippers on a magnet strip on the back of a bathroom cabinet door. 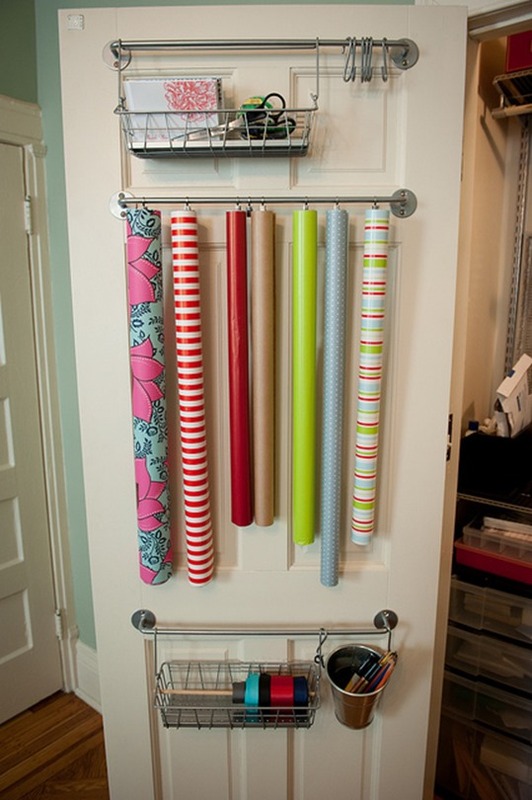 Love this wrapping storage – only $20 worth of materials from IKEA. 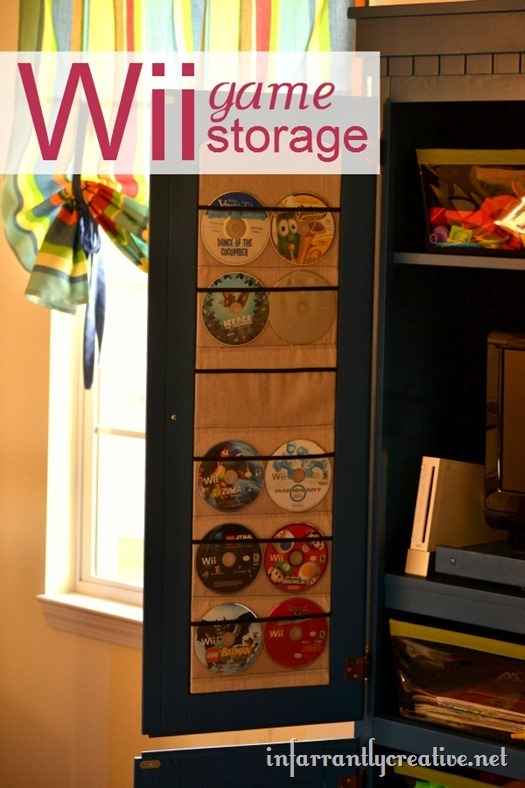 Organize Wii games on the back of a tv cabinet door or closet door. 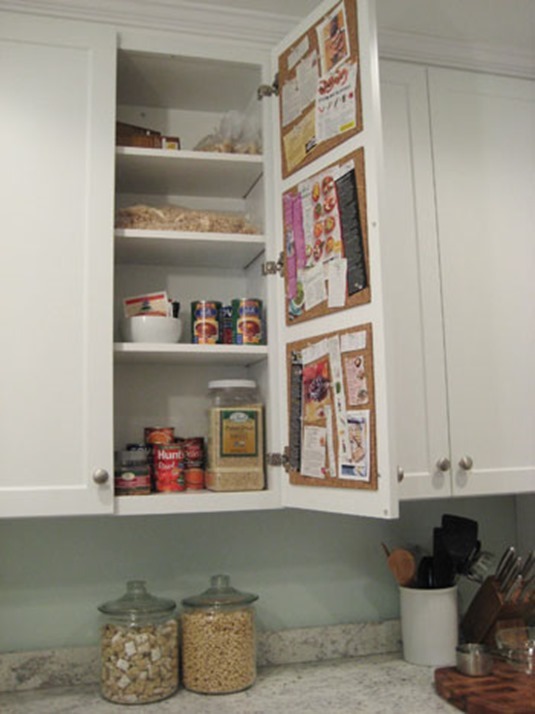 Put up some cork board on the back of kitchen cabinets to pin up phone numbers, recipes, grocery lists like Young House Love did. 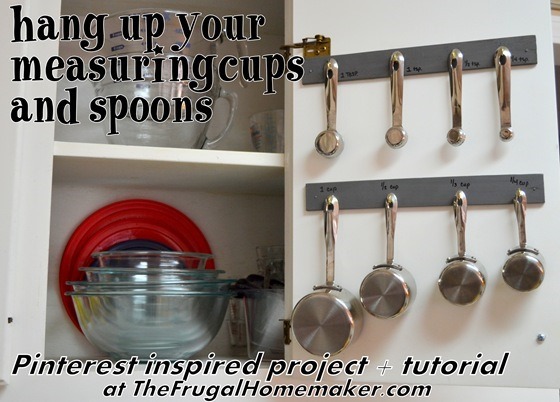 I hung up my measuring cups and spoons on the back of a cabinet door to help with storage and organization. 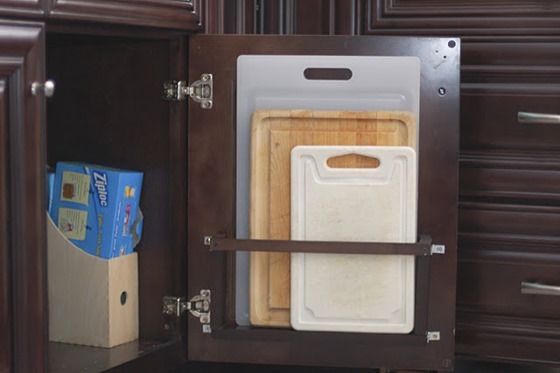 Store your cutting boards on the back of a cabinet door. 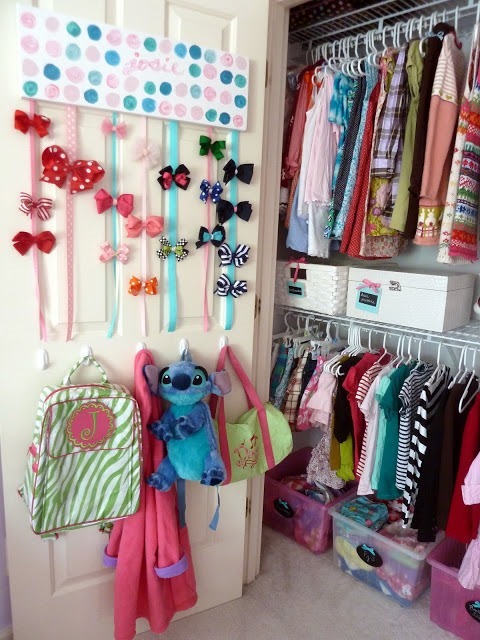 I think this is a great way to maximize storage on the back of a kid’s closet door. 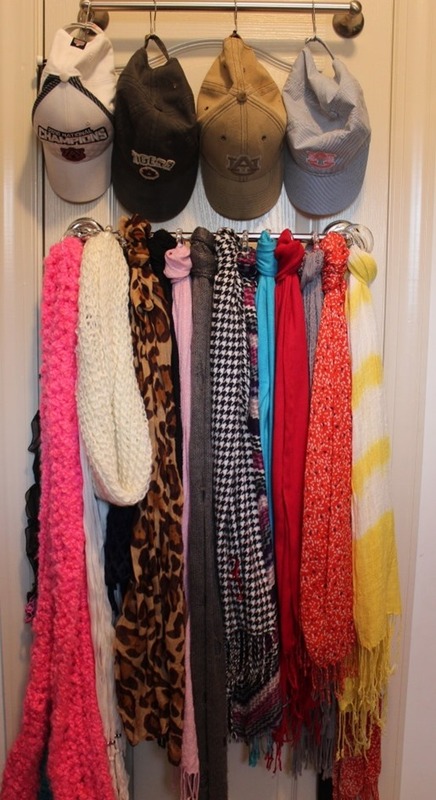 Store scarfs and hats on towel racks on the back of a door. 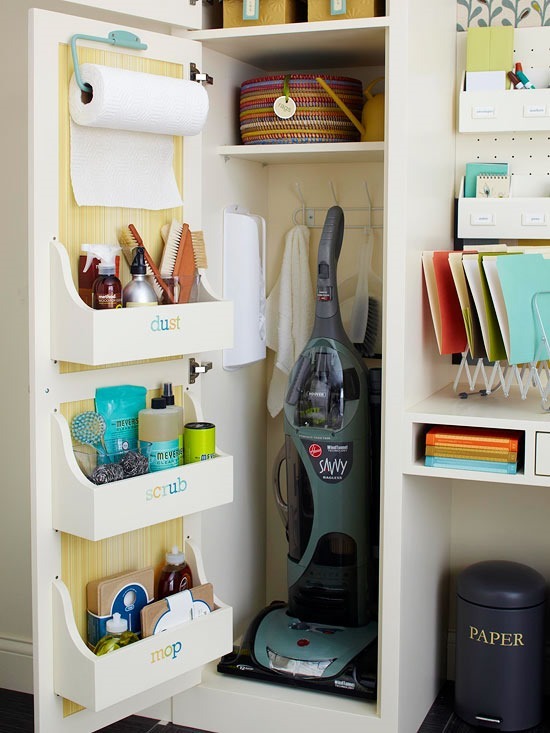 And if you have a utility door or maybe even on a garage door – love all these common household/utility products organized on the back of a door. So which one is your favorite? 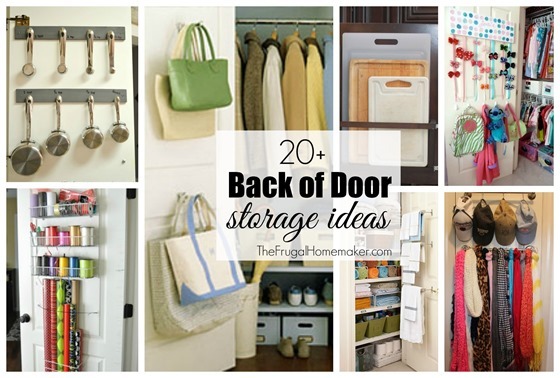 Or what do you already store on the back of doors in your house? 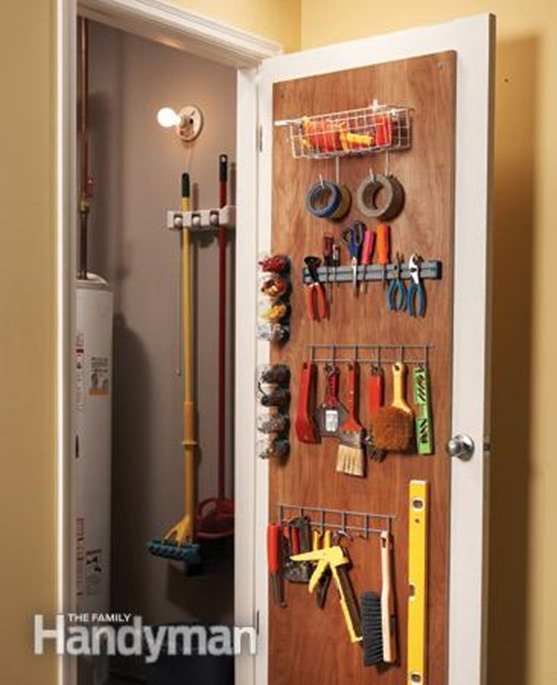 I love all of the “back of door” storage ideas! I think my favorite one would be the caddies on the back of the door!! I saw the cleaning products one on Pinterest and have already copied that a few weeks ago on the back of my laundry room door. I also have a shoe organizer on the back of my closet door for my shoes (one in my son’s room, too) and I have a bar with large hooks on the back of my bedroom door for scarves. Thanks for the great ideas! This has been such a great series, with so many wonderful ideas…..can’t wait for more! 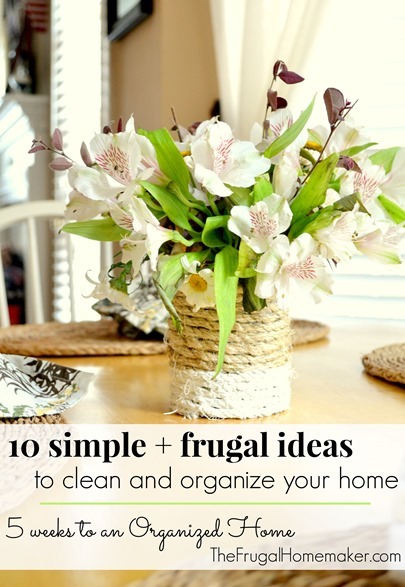 Another great post filled with frugal, practical ideas! Thanks so much!!! I have been a “put- hooks-everywhere kind of girl” for a looong time. I will have to get some of those shoe organizers next time I see them at yard sales. 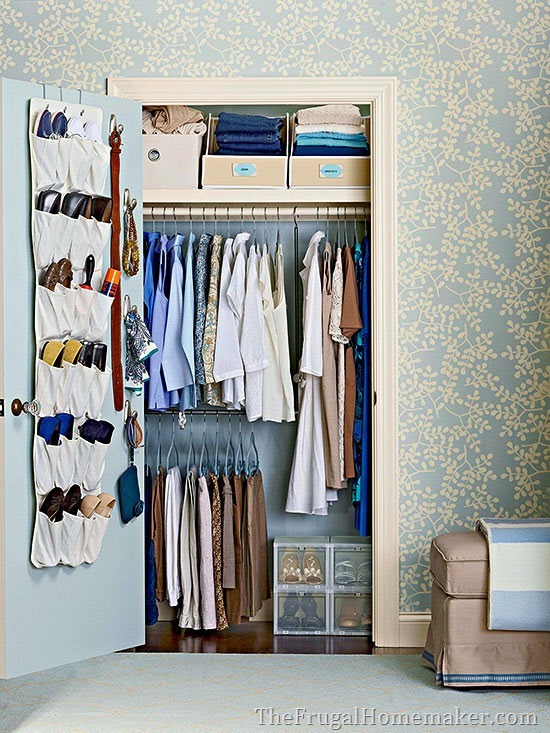 🙂 I love the closets that utilize almost all of the available space – double rods, shelves, baskets, etc. Do your cups/spoons bang against the door and ever scare you? They did to me when I wasn’t thinking about it. I have metal cabinets so I moved the magnetic hooks to the sides of the cabinet. Not my favorite but it’ll do for now. Just like with the spices in the shoe holder – I love this and I’m going to get going on finding/making more space for myself in the house! 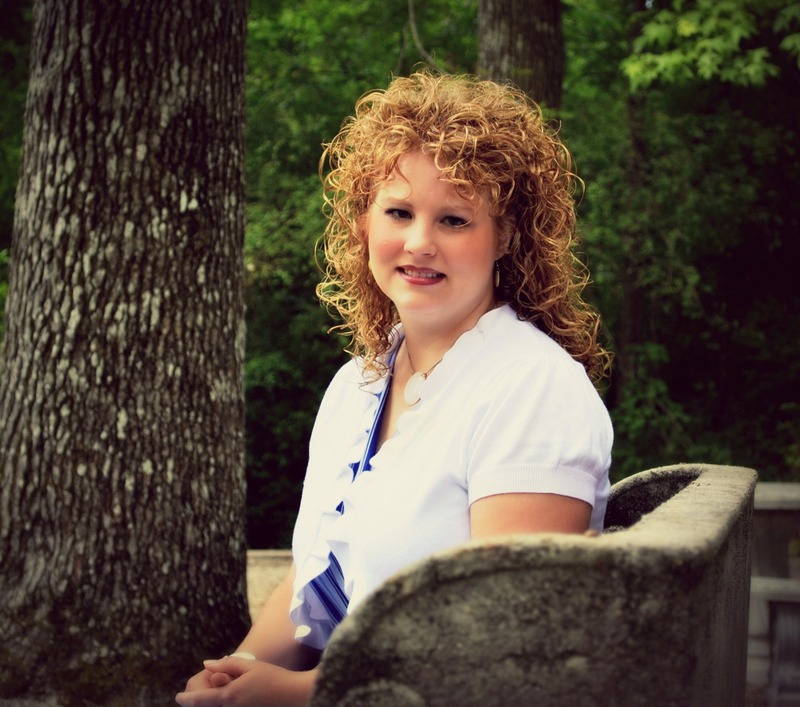 love these….thanks for taking the time to post! Love the magnetic strip on the back of the door for bobby pins! Definitely need to do this for my ballerina, whose bobby pins I am constantly picking up! 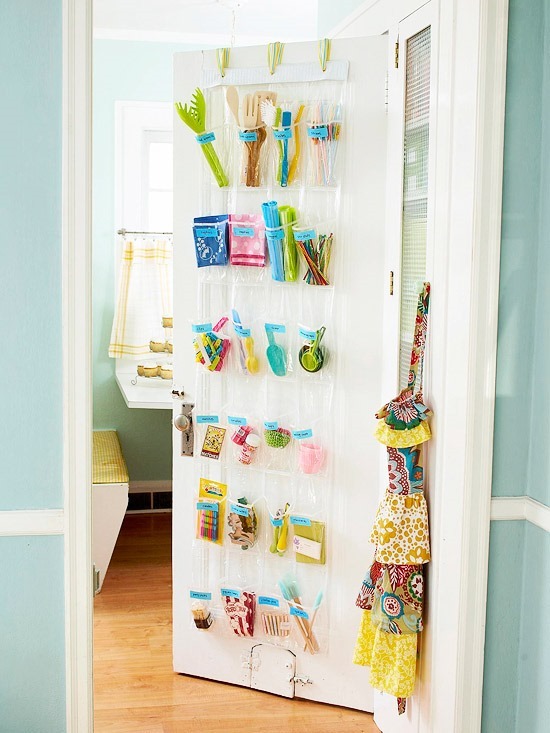 Thanks for the good ideas for fairly painless ways of organizing all the extra stuff! I LOVE all these ideas. It makes me realize, I just need lots more doors in my house 😉 Thanks for sharing! Pick a favourite? You have included so many fantastic ideas that it’s impossible to pick just one! I’ve pinned, thanks again for rounding up a slew of incredible organization ideas! Finally the ideas that I was looking for on Shelving things and organizing things out is already here. 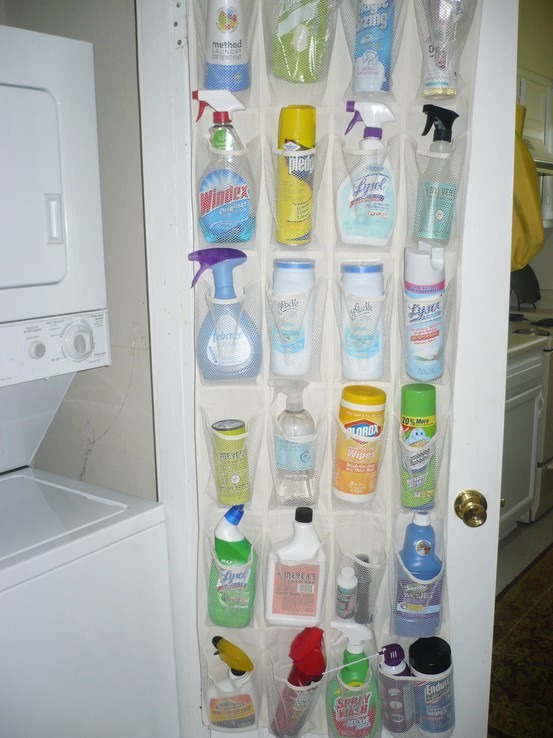 Great idea, very creative and wise idea on keeping or storing things on the back door. I really love it and I’m sure will apply this in my home. I will definitely check back here in the future. Loved all the ideas, but particularly the cleaning supplies in the shoe caddy. My cleaning supplies end up being strewn from the pantry to the undersink cabinets to the bathrooms!! This way, I can utilize those areas for other things and have all my products in one place. Thanks for the awesome tips! I use a shoe holder on the wall in our laundry room for hats, gloves, & scraves. They used to get thrown in a clear plastic box at the bottom of the closet. The shoe holder works great and everyone knows where they can find the winter necessities. I love the cleaning supplies in the wooden caddies but can’t seem to find anything anywhere that sells them – can anyone point me in the right direction?